Welcome to my picture gallery, after many people asking for more pics of me. I've gone wild with my digital webcam/camera. So the following pages are dedicated to me and my craziness! (^_^) Also I've added an archive pages where you can click on the year below to see pics of me from that year. Now a student attending the University of Advancing Technology at Tempe, AZ. Reason I say Renaissance Man is because I'm working on two degrees at the same time: Bachelor of Science in Game Programming and Bachelor of Arts in Digital Video(aka Filmmaking). 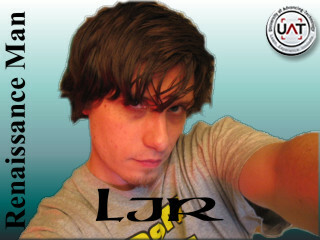 As you can see, long hair again, saving it for a Music Video I'm shooting in a few weeks afterwards going back to short. 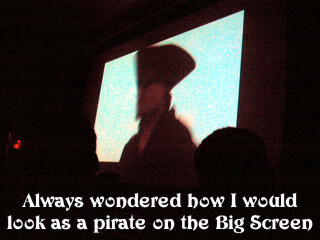 Finally, me acting as a Pirate Captian on the Silver Screen!!! This film also got accepted into the Phoenix International Film Festival!!!! For my birthday this year and to get a chance to relax from school/work, I took a trip up to Sedona, Arizona. 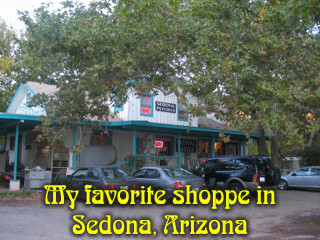 Took this snap shot of my favorite shoppe, I always seem to spend over $100 here each visit. Copyright ©2006, Lord Jon Ray - All Rights Reserved.